An angry Nicky Henderson on Friday expressed his disappointment with elements of the media following the revelation star chaser Altior needed a breathing operation and would miss a large chunk of the season. The champion trainer on Wednesday night announced the news the unbeaten chaser was out of the Tingle Creek at Sandown next month, after an issue first surfaced on Saturday, and faced a race against time to make the Queen Mother Champion Chase in March – both races for which the seven-year-old was favourite – on his Unibet blog. The method and timing of that drew criticism on social media and prompted the BHA to take the unusual step of issuing a statement stressing the importance that the public has "full confidence in betting markets, including ante-post markets". Henderson hit back in an interview with ITV Racing's Matt Chapman at Cheltenham on Friday. Explaining the timeline of Altior's setback, he said: "There was no issue on Saturday. This started on Tuesday and I'm seriously disappointed and incredibly upset with some of the attitude of the press, media and television. "This issue raised its ugly head on Tuesday and I was only thinking by Wednesday afternoon we couldn't have done this any better, any quicker or more professionally. I'm extremely upset with some of the insinuations that have been made because we've done this by the book. "The only thing I was waiting for on Wednesday was a second opinion, which I got at 4pm and then spoke to the owners and went to the press immediately." Pressed by Chapman that it had been reported in his Unibet blog Altior had made a "whistling noise" on Saturday, Henderson added: "The first opinion came on Tuesday and if you go to every horse that's ever made a squeak in its life I'd spend my whole time behind a desk doing nothing. We had a look for a good reason, but I had no reason to believe anything was wrong." Henderson added that using his Unibet blog to release news was, in his opinion, a satisfactory way of operating. He continued: "That's what I've done and if you remember the Sprinter Sacre situation last year [when he was retired], which I think we handled totally and utterly speedily and professionally, as we have done with this. I've always done it this way. They have a blog for me, I talk to them and then it's given to the press. "You do these things and I'm very disappointed with certain members of the press room and media. I'm not going to mention them now. I was going to, but I'm going to refrain, only just. I think we go out of our to way to co-operate." 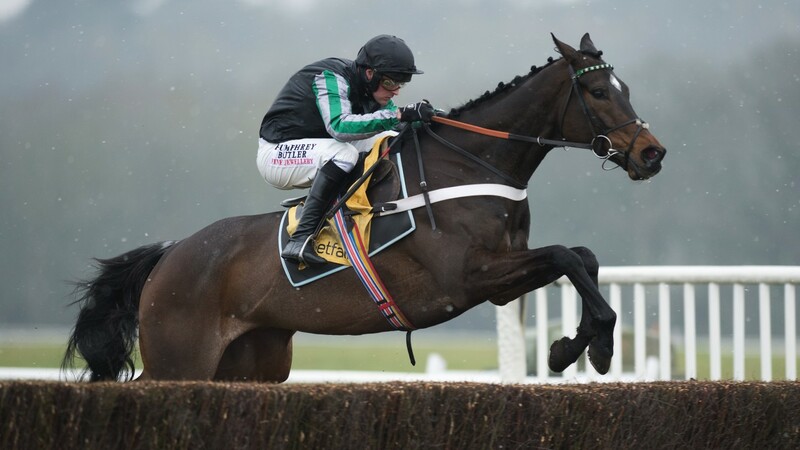 Regarding Altior, who won the Supreme Novices' Hurdle at the Cheltenham Festival last year and returned this spring to capture the Racing Post Arkle, Henderson said: "This is pretty disappointing for ourselves, in fact it's devastating. "He had what he had to have done this morning without a general anaesthetic and that's important. That's a big help and we have a time schedule we've put together. "He has two weeks of box rest and then we can start walking. Time is tight and our only objective is to get to the Champion Chase. It's common [what he's had done]; Might Bite had it at the start of last season and Sprinter Sacre had it as a five-year-old."